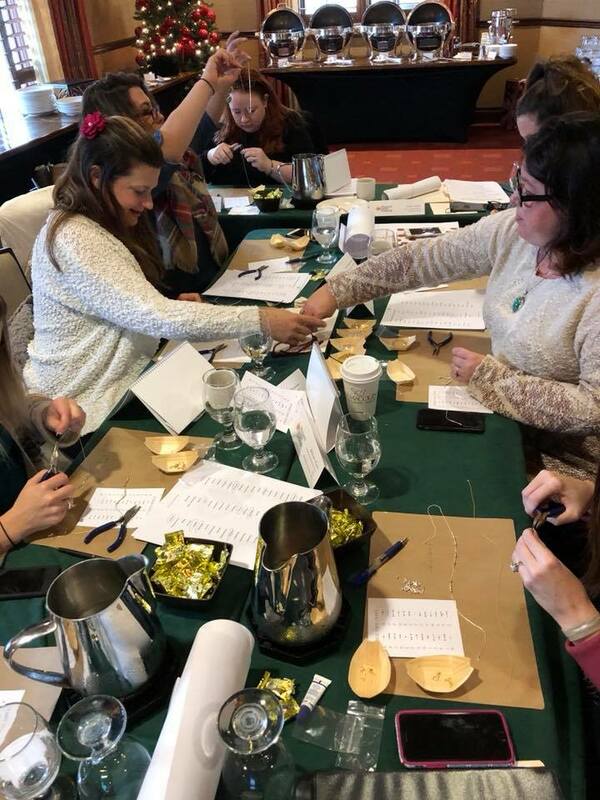 Last week, we traveled to the beautiful Nemacolin Woodlands Resort in PA to lead not one, but two, workshops as part of the Women's Energy Network's board retreat. On Thursday, the group created a collaborative vision board, outlining the vision and goals for the WEN chapter in the new year. On Friday, each board member had the opportunity to focus on their own personal vision and goals for 2018, with the creation of a personalized strategy map and a morse code necklace. Each participant also created a morse code necklace for the person they wanted to support in their path forward, and gifted the necklace as a symbol of their support and ongoing encouragement.